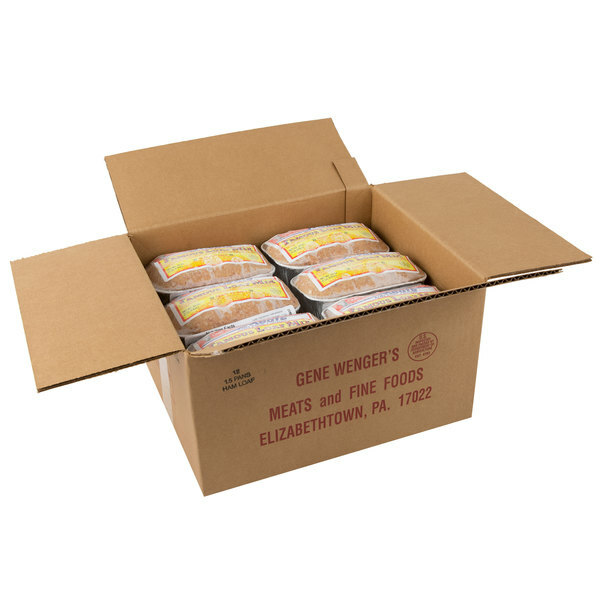 Crafted from premium smoked pork and blended with sweet and spicy seasonings, this Gene Wenger 1.5 lb. small ham loaf is the epitome of hearty, PA Dutch comfort food. 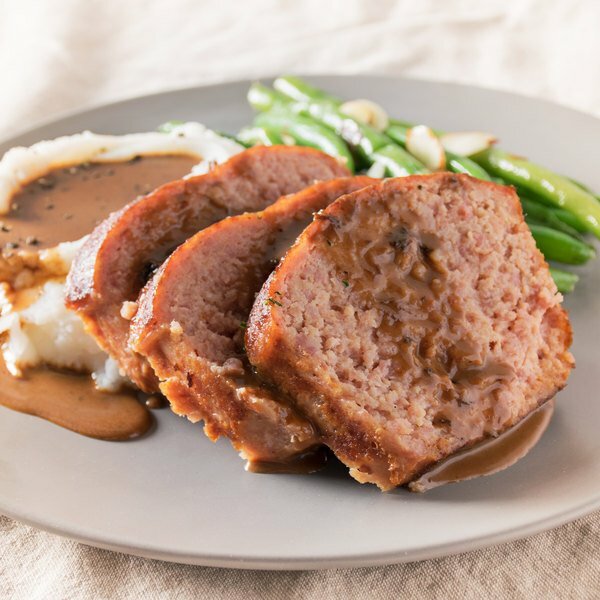 It's infused with a mixture of vinegar, mustard, and brown sugar, a traditional fusion of flavors that's perfect served without sauce or other condiments. Even so, it pairs perfectly with the decadent taste of browned butter, the delicate tang of ketchup, or the strong bite of barbeque sauce. With or without toppings, this succulent ham loaf is an iconic addition to any menu. Serve it sliced as an entree with mashed potatoes and green beans or with other classic PA Dutch, Amish, or Mennonite dishes. However and wherever it's served, the ham loaf embodies the comforting tastes and smells of wholesome, country cooking. 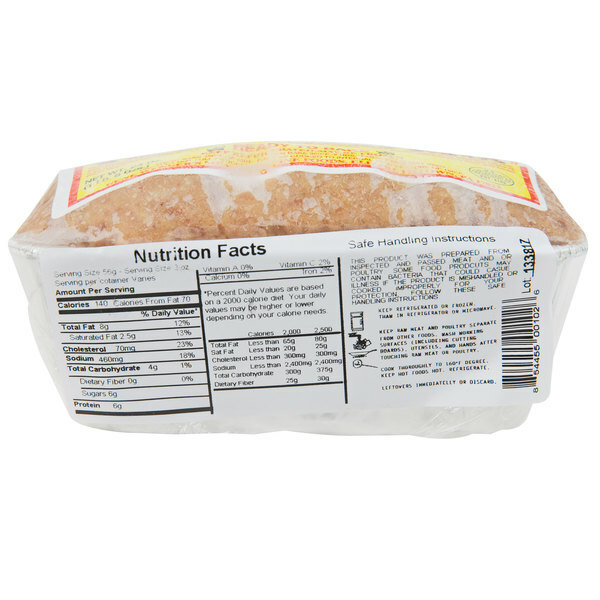 This premium-quality ham loaf ensures quick, easy, and convenient preparation. Bake the frozen loaf at 350 degrees Fahrenheit for 2 hours or for just 90 minutes if previously thawed. Once it reaches an internal temperature of 160 degrees Fahrenheit, the loaf is ready to slice and serve. 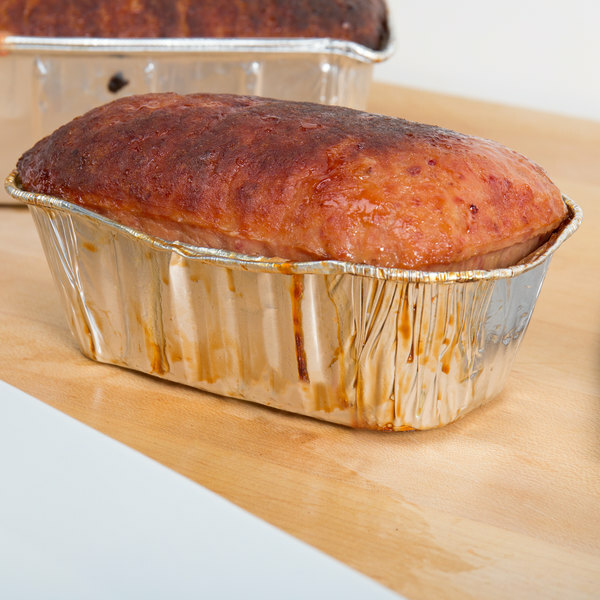 Smelling the meat's sweet and rich aroma, customers will be convinced that the ham loaf is baked from scratch! A quaint, family run operation in Lancaster County, Pennsylvania, Gene Wegner provides a wide variety of frozen meats, deli meats, and local favorites. 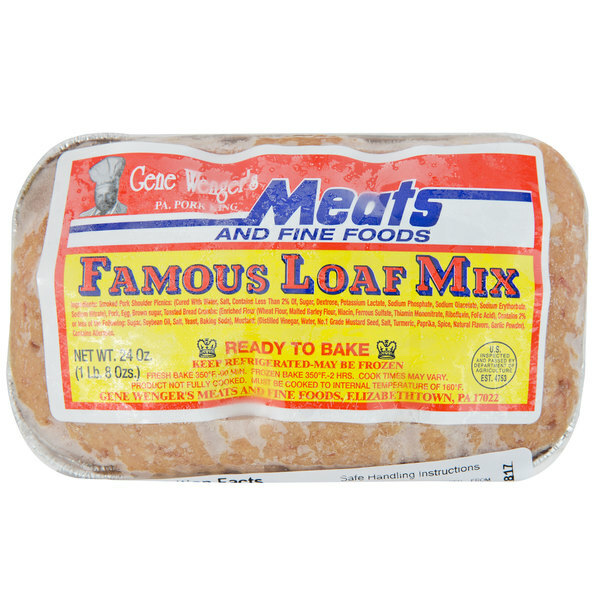 Known best for their delicious ham loaf, a favorite across central Pennsylvania, they are committed to providing the flavorful products their customers are asking for. Add Gene Wenger foods to your restaurant or deli to bring a traditional, fresh, and high-quality products your customers will love.